SIP Industrial Products Limited offer feature-rich products that are innovative and competitively priced. With balanced sourcing from Europe and carefully chosen products from the Far East, SIP offer supply options for a range of industries. Our combined experience as a manufacturer, developer and distributor ensures that we can supply the optimum products and tenders, at the right prices, to you. SIP welcomes enquiries from potential stockists who are interested in joining our SIP Worldwide Distributor Network! We are always looking for distributor partnerships to support the SIP Industrial Products brand of industrial equipment throughout the world. 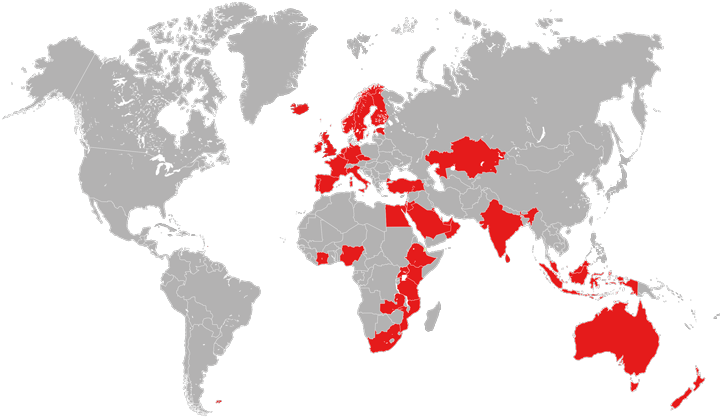 There is also the possibility of 'sole distributorships' in certain countries and territories. This will include where your company is currently a distributor for other leading brands and if you would like to ffer your customers an even wider choice of quality products. SIP Industrial Products are always actively looking for the right distributors and merchants to start partnerships with. Ideally, our company would like to work with firms that have the facilities to service and repair equipment, as well as the ability to work with us to take the SIP products to market. Our experienced SIP Export department are more than happy to assist in all aspects of shipping our products to our customers. We have the facility to quote, give shipping details, offer technical advice and more - everything you would expect from a market leader. SIP Industrial Products Limited is a United Kingdom based company prepared to build successful business with you.